Anniversaries are a great time to revisit past favorites. 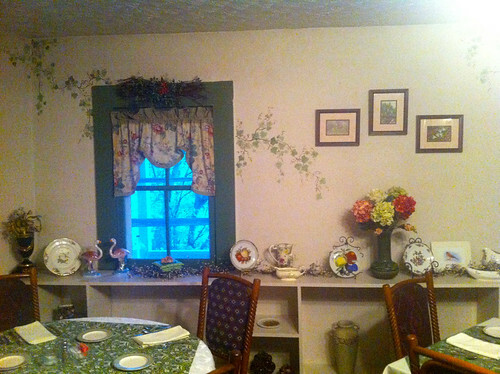 So when we went up north to Franklin last Thursday in the course of our anniversary celebration, we decided to finish the day with a return to the Wayside Inn in Lucinda, where we'd had many romantic dinners in our trips to Cook Forest. The Wayside Inn isn't exactly a Roadfood place, but it definitely has a hidden-gem quality that I like to find in Roadfood places. We certainly would not have found it ourselves without a recommendation. To begin with, Old Fryburg Road is a rural byway, not a convenient route to many things that aren't on Old Fryburg Road. 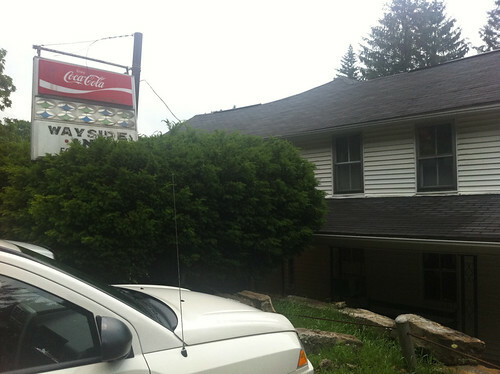 Furthermore, the restaurant only shows a faded Coca-Cola sign from the road, with no road-visible clues that it's a nice restaurant. 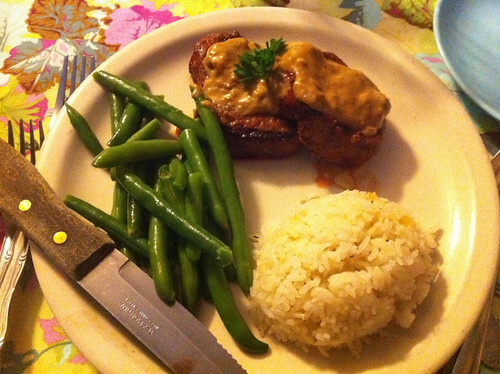 I ordered one of the specials, steak medallions crusted with blue cheese and topped with a mushroom sauce, accompanied by green beans and ginger rice. The steak was umami-riffic, with a very rich, lingering flavor that merged all three components. The ginger rice was a bit too gingery for my taste, despite my love for strong flavors; I wanted 'piquant', but this crossed the line to 'sharp'. 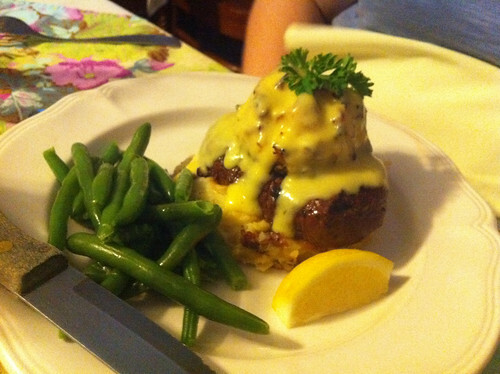 Lori chose the surf and turf: filet and a crab cake, topped with hollandaise sauce. For her side, she ordered the white cheddar mashed potatoes, which were used as a base for the surf and turf. This was actually really good; I particularly liked the crab cake, which had a very bold crab flavor; I've had lots of crab cakes that tasted mostly of bread, but this tasted more crabby than a fair bit of the crab I've had. 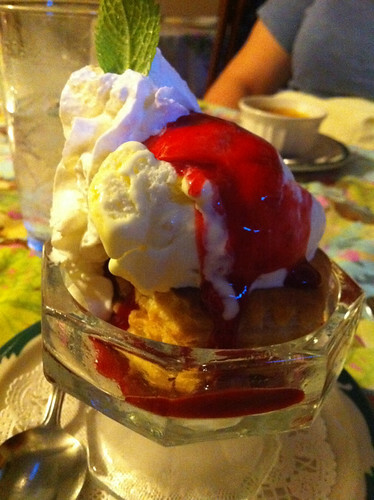 For dessert, I had the ginger ice cream with strawberry sauce in a puff pastry shell. The ice cream and fruit was very nice, but it takes a truly exceptional puff pastry shell to yield easily to a spoon, and this wasn't a truly exceptional shell; I had to do the usual amount of grinding the pastry between spoon and bowl to make it separate. Perhaps I should have just enjoyed the nice sundae of piquant ginger ice cream and strawberry sauce and let the pastry shell remain. Lori had the creme brulee. It was very smooth and creamy. I could quibble slightly about the thickness of the brulee layer, because I am a man who quibbles about the thickness of brulee layers, but that too was significantly better than most creme brulee. 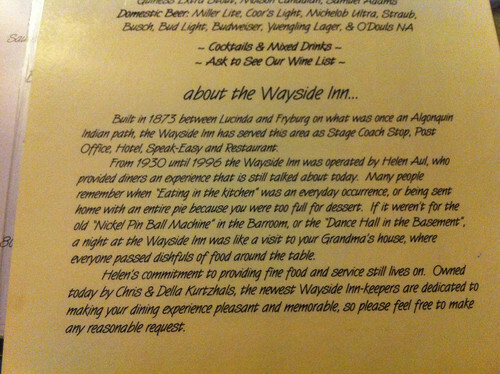 One final note: even though we had not been to the Wayside Inn since 2008, Chris (the proprietor) still recognized us, chatted with us, and made us feel that he'd given special attention to making our evening pleasant. 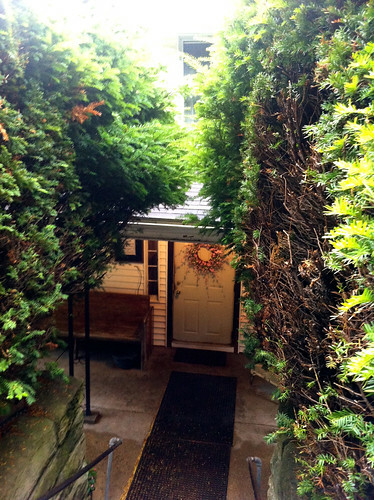 The Wayside Inn is a charming place, and I'm glad to know about this hidden gem.